TORONTO (AP) — Prince Harry and his girlfriend Meghan Markle have made their first official public appearance as a couple. 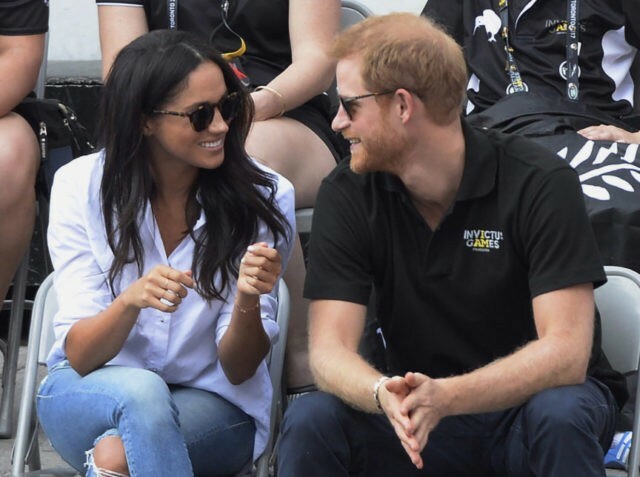 The prince and Markle held hands Monday as they walked toward Toronto’s city hall and attended a wheelchair tennis event at Harry’s Invictus Games for wounded veterans. Both were dressed casually in jeans, the prince pairing it with a black polo shirt while his girlfriend wore a pale button-down shirt. Markle is a Toronto-based actor in the legal drama “Suits.” She appeared at the games’ opening ceremony this weekend, cheering from the stands while Harry sat several rows away beside Prime Minister Justin Trudeau and U.S. first lady Melania Trump. The couple has been photographed together in the past but this is the first time they have appeared together at an official event.